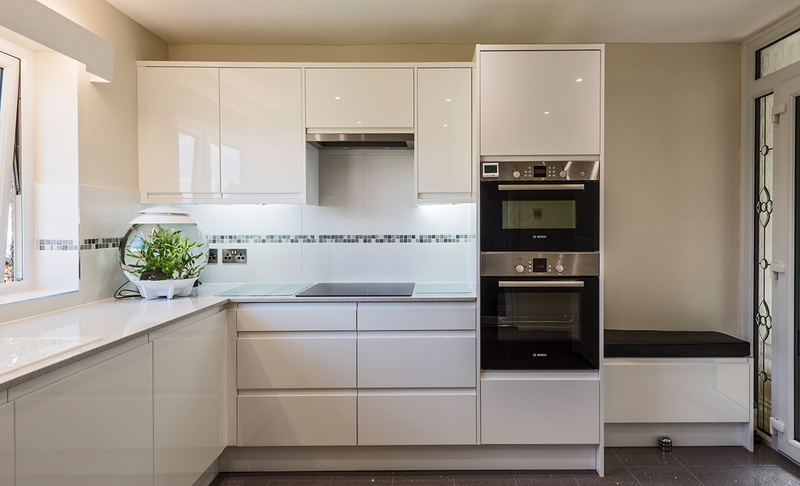 The clients chose to relocate their kitchen to a different room next door in their property. 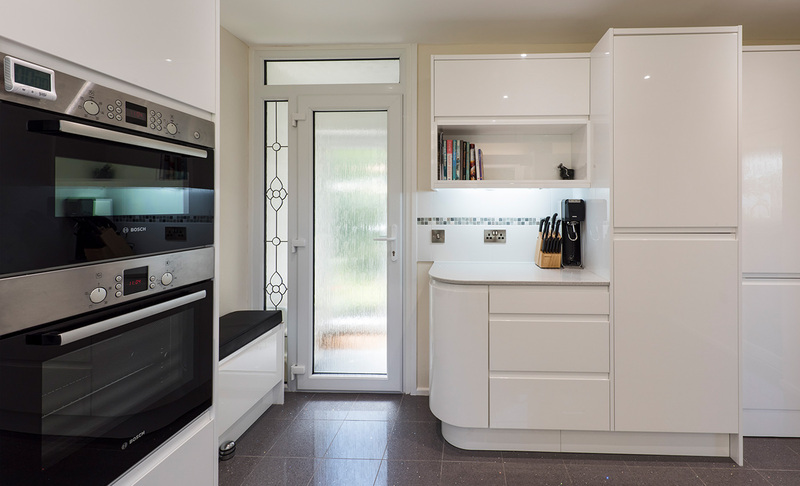 Transforming their space into a bright white room with views over the estuary Strada white gloss doors, Bosch appliances, superb lighting, hot tap and white Mirrorlux quartz complete the new look. We were very impressed with our experience at the studio. Anna, Chris and Laura, the Receptionist, are very welcoming and friendly. During the layout and design they were able to show us examples of the finishes and proposed solutions to all our queries on the spot. All the Tradesmen who came were polite, efficient and professional, used dust-sheets and kept dust to a minimum and cleared away after themselves at the close of each day. The quality of their workmanship is exceptional. We are absolutely thrilled with the outcome, which have exceeded our expectations. They are well planned and installed and of high quality. 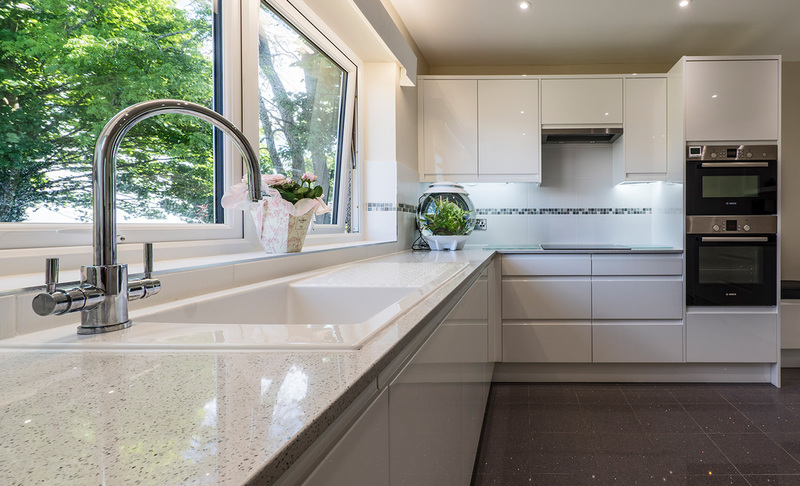 We were also impressed by the way they accommodated minor additions we asked for during the project and would be happy to recommend Portishead Kitchens and Bedrooms to anyone contemplating similar work. The client was looking for a complete transformation; something modern, open plan, easy to maintain with clean lines and maximum storage.